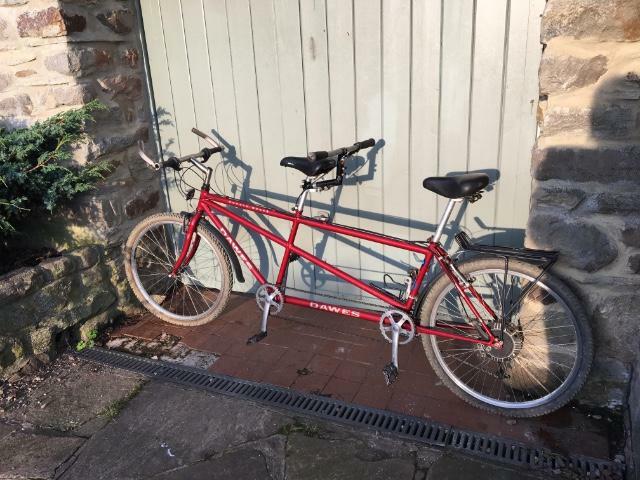 Dawes Double Edge 1997, size 46-41, fantastic rosso red paintwork, hardly a scratch. Mechanically sound, very litle use. strenghthened rear wheel, 48h , hope cassette, sun rim. Rear hub brake for stokers use. All original paperwork and bills. Comes with 3 sets tyres, mild off road ( in picture), knobblies and slick on road.